Advancements in milling, recycling and HMA technology over the last few decades have created HMA pavements that perform better, longer and with lower life-cycle costs than was previously possible. 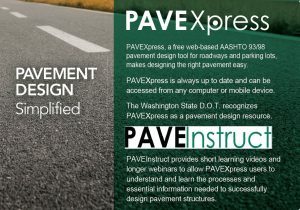 Today’s HMA pavements can be designed to last in perpetuity. A Perpetual Pavement is defined as an asphalt pavement designed and built to last longer than 50 years without requiring major structural rehabilitation or reconstruction, and needing only periodic surface renewal in response to distresses confined to the top of the pavement. The concept of Perpetual Pavements, or long-lasting HMA pavements, is not new. Full-depth and deep-strength HMA pavement structures have been constructed since the 1960s, and those that were well-designed and well-built have been very successful in providing long service lives under heavy traffic. The basic concept is that HMA pavements over a minimum strength are not likely to exhibit structural damage even when subjected to very high traffic flows over long periods of time. 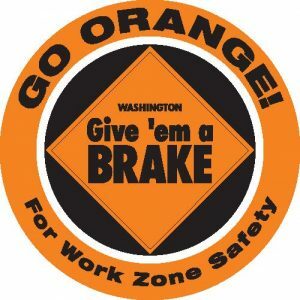 Rather, deterioration seems to initiate in the pavement surface as either top-down cracking or rutting. If surface-initiated cracking and rutting can be detected and remedied before they impact the structural integrity of the pavement, the pavement design life could be greatly increased. HMA base layer. This is the bottom layer designed specifically to resist fatigue cracking. Two approaches can be used to resist fatigue cracking in the base layer. First, the total pavement thickness can be made great enough such that the tensile strain at the bottom of the base layer is insignificant. Alternatively, the HMA base layer could be made using an extra-flexible HMA. This can be most easily accomplished by increasing the asphalt content. Combinations of these two approaches can also work. Intermediate layer. This is the middle layer designed specifically to carry most of the traffic load. Therefore it must be stable (able to resist rutting) as well as durable. Stability can best be provided by using stone-on-stone contact in the coarse aggregate and using a binder with the appropriate high-temperature grading. Wearing surface. This is the top layer designed specifically to resist surface-initiated distresses such as top-down cracking and rutting. Other specific distresses of concern would depend upon local experience. In order to work, the above pavement structure must be built on a solid foundation. Nunn (1998) notes that rutting on roads built on subgrade with a CBR greater than 5 percent originates almost solely in the HMA layers, which suggests that a subgrade with a CBR greater than 5 percent (resilient modulus greater than about 7,000 psi) should be considered adequate. As always, proper construction techniques are essential to a perpetual pavement’s performance. Finally, the most important point in this brief perpetual pavement discussion is that it is possible to design and build HMA pavements with extremely long design lives. In fact, some HMA pavements in service today are living examples of perpetual pavements. The Asphalt Pavement Alliance publishes a great resource on perpetual pavements: Perpetual Asphalt Pavements: A Synthesis. 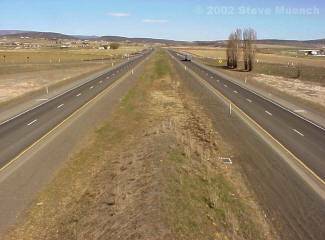 Washington State has a significant length of nationally recognized Perpetual Pavement. 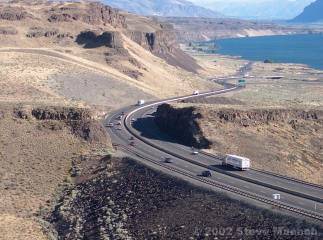 In 2002, I-90 in Washington State (Figures 1 and 2) was awarded one of the inaugural Asphalt Pavement Alliance (APA) Perpetual Pavement Awards. Criteria for this award included: the nature of the original design; the overall quality of the pavement; the absence of structural failures; the condition of any long-lasting overlays; the existence of a history of low overall maintenance; the nature of the efforts that were made to minimize traffic disruptions during resurfacing; and other factors. Since their construction in the early to mid 1970s, all the HMA sections of I-90 are still performing well and none have required reconstruction.